Our 50th Lumiappaday is a game called Breeze. This, I guess as the category says is a puzzle/trivia type game. Basically you have a flower and you have to use some breeze to propel it to the goal. In the mean time as the game progresses you may have to collect things before going to the goal. Also avoid hitting the sides otherwise you lose a life. 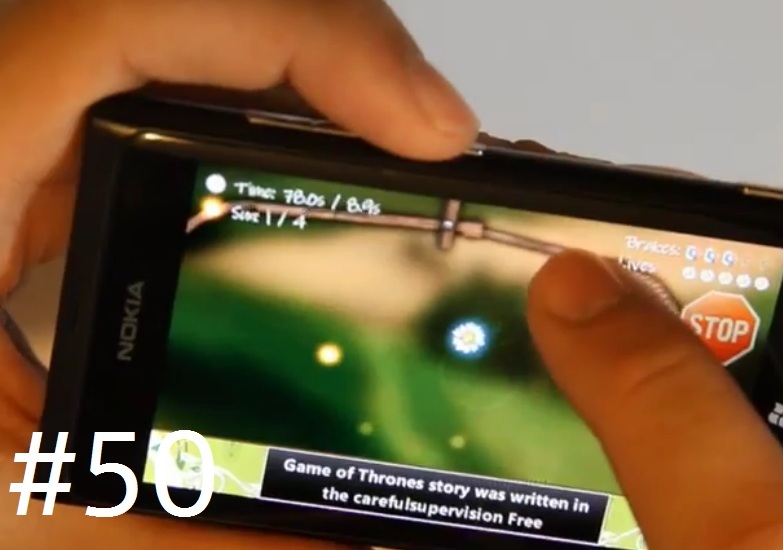 The game can be controlled by touch or by accelerometer. Breeze puts you in control of the wind as you gently blow a flower towards the goal. Master both tilt and touch controls to guide the flower across 60 seasonal themed levels while listening to Breeze’s smooth, relaxing soundtrack. Add to your Xbox LIVE account’s gamerscore by earning achievements. Breeze is light entertainment for all ages.